Collaborative practice is the core of effective healthcare and health professions education today. The groundbreaking Michigan Center for Interprofessional Education is working to transform the way we prepare University of Michigan students through curriculum development, clinical innovation, and evaluative research. Students are gaining critical knowledge, skills, and attitudes for working on collaborative practice teams — interprofessional communication, ethics and values, teamwork, and intercultural intelligence — all of which closely align with Michigan’s engaged learning goals. 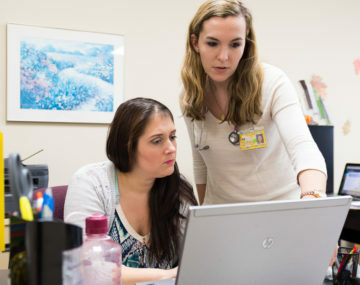 The Center also offers grants to support faculty research on the health outcomes and value of interprofessional exchange (IP-X) in education, policy, research, care, and service.